With the 70th Anniversary of the D-Day Landings coming up on Friday, conversation at the Handicraft group at the New Mills Volunteer Centre, moved between knitting for Service Men and the landings themselves. The following is a snap shot. Uncle Bill was in the D-Day landing, landing tanks. He was in about 3 different Regiments in all, the Desert Rats, the Kings Own, the Lancashire Fusiliers and some Scottish Regiment. They moved him about- that many of them got killed, but he never had a scratch on him- so deaf though you couldn’t say a word to him. When he was getting on a bit, he still had a pair of Khaki shorts that he’d kept since he was in the desert. His wife threw them out, he was so mad at his wife- they were covered in blood, German blood! 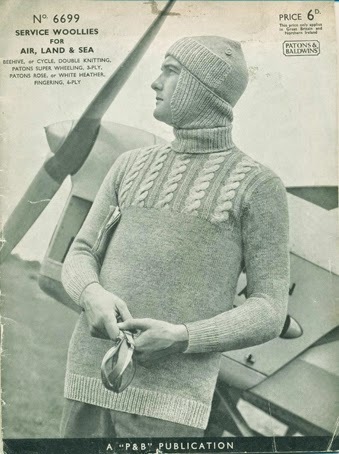 I knitted socks, mittens and balaclava’s, did the socks on 4 needles, Air Force blue, Navy and Khaki, they used to give us the best wool as we were the best knitters, they’d give us other peoples knitting sometimes to un-pick and re-knit. I have a certificate somewhere from the British Legion, as I was only 13 when I was doing all that knitting. 11 when the war started. Thanks to all the members of the group who have kindly donated knitted rectangles for the Stitching the Wars Quilt, I came to the session to find a bag full of beautiful knits, and more were made as we chatted. 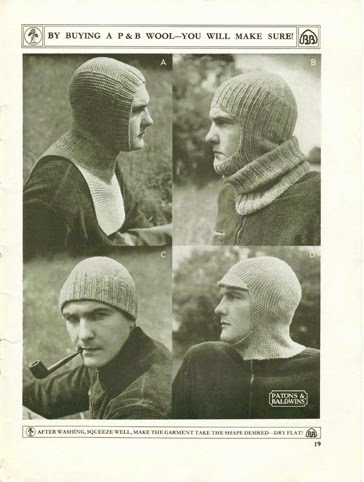 Coincidently, the pattern books that feature in this post were published by Patons & Baldwins, Ltd, Alloa, Scotland. My Granddad Jack Blackburn used to work there before and just after the 2nd World War as a box man, he went around the Mill with a big box on wheels, taking the wool round for the women to spin. Two of my Granddads sisters also worked at the mill and a Great Uncle was a transport manager there. My Granddads real passion was his music, but he felt had to have a secure job (he'd been brought up in the 30s depression) My dad and Grandma wanted him to go full time as a drummer in the band- but he wouldn't take the gamble. The house my Grandfather, Grandmother and dad lived in was a house provided by Patons, a house for life. They moved in in 1939 the year war broke out. He joined the Royal Airforce and was stationed at Biggin Hill where he worked as a Anti Gas Instructor, looking after the Gas Masks for the pilots. 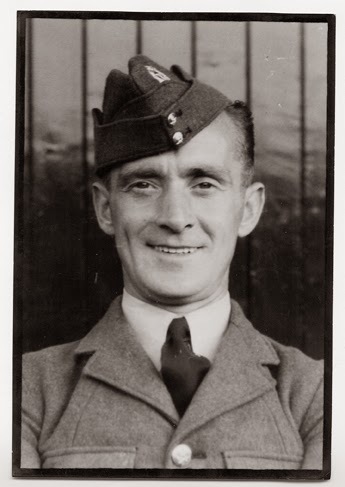 They were bombed relentlessly there, he became ill with the stress, a stomach ulcer- he was brought back to Scotland where he worked in the Scottish Airfields.